What Is the Treatment for High Cholesterol Treatment? 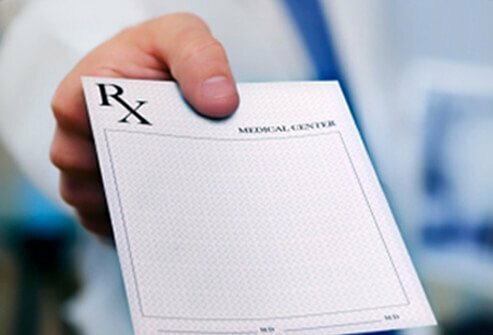 What Are Cholesterol Lowering Medications? What Are Nicotinic Acid Agents? Cholesterol is a waxy, fatlike substance that the body needs to function normally. Cholesterol is naturally present in cell membranes everywhere in the body, including the brain, nerves, muscles, skin, liver, intestines, and heart. Your body uses cholesterol to produce many hormones, vitamin D, and the bile acids that assist in digesting fat. The cholesterol in the blood comes from two sources: 1) the foods a person eats, and 2) the liver. However, the liver makes enough cholesterol to satisfy the body's needs. It takes only a small amount of cholesterol in the blood to meet these needs. If an individual has too much cholesterol in their bloodstream, the excess may be deposited in arteries, including the coronary (heart) arteries, where it contributes to the narrowing and blockages that cause the signs and symptoms of heart disease. Several drugs and diseases can bring about high cholesterol, but for most people, a high-fat diet, obesity, a sedentary lifestyle, smoking, excessive alcohol consumption, or inherited risk factors are the main causes. If these lifestyle changes do not lower a person's risk for developing coronary heart disease after about three months, the doctor may consider prescribing a cholesterol-lowering medication. If the patient has heart disease or many risk factors for heart disease, the doctor may prescribe cholesterol-lowering medications in addition to lifestyle changes immediately, rather than wait three months for the effect of lifestyle changes alone. If the patient's doctor prescribes one of these medications, he or she must still follow a cholesterol-lowering diet, be more physically active, lose weight if (if the patient is overweight), and control or stop all of the other risk factors for heart disease (including high blood pressure, diabetes, and smoking). Taking all these steps together may lessen the amount of medication an individual needs or make the medication more effective, which reduces the risks associated with high cholesterol. What are some examples of statins prescribed? Statins inhibit the enzyme HMG-CoA reductase, which controls the rate of cholesterol production in the body. These drugs lower cholesterol levels from 20% to 60% by slowing the production of cholesterol and by increasing the liver's ability to remove the "bad" cholesterol (low-density lipoprotein or LDL) already in the blood. Statins lower LDL cholesterol levels more effectively than other types of drugs. They also modestly increase "good" cholesterol (high-density lipoprotein or HDL) and decrease total cholesterol and triglycerides. Results are usually seen after four to six weeks of taking statins. Statins have been studied extensively and overall have been proven to decrease the risk of heart attack, stroke, death, and other coronary artery diseases that are related to high cholesterol levels. Who should not use these statins? You are allergic to statins or their ingredients. You are pregnant or are planning a pregnancy. You have a history of myopathy (a type of muscle disease). You have renal failure due to rhabdomyolysis. Use: Statins come in tablet or capsule forms and are usually taken with the evening meal or at bedtime because the body makes more cholesterol at night than during the day. LDL-C remains greater than or equal to 190 mg/dL. Side Effects: Statins are well tolerated, and serious side effects are rare. If you experience diffuse muscle soreness, pain, and weakness; vomiting; or stomach pain or if your urine is brown (a possible sign of muscle breakdown), contact your doctor immediately and stop taking the statin medication. You may need blood tests for possible muscle problems. Rarely, widespread muscle breakdown, known as rhabdomyolysis, can occur, usually in people who are taking other drugs that interfere with the breakdown of the statin and in people with advanced kidney problems. This is a medical emergency. Some people experience an upset stomach, gas, constipation, and abdominal pain or cramps. These symptoms are usually mild to moderate and generally disappear as the body adjusts to the medication. Liver function is usually monitored in patients taking statins. Rare reports of neuropathy (numbness and tingling) affecting the hands, arms, feet, and legs have been described. What are some examples of PCSK9 inhibitors? Alirocumab and evolocumab are man-made injectable drugs that reduce cholesterol levels in the blood. They are members of a new class of drugs called proprotein convertase subtilisin kexin type 9 (PCSK9) inhibitors. Cholesterol is carried in the blood to a large extent by particles of LDLs that are removed from the blood by liver cells. The particles are removed from the blood by low-density lipoprotein receptors (LDLR) on liver cells. PCSK9 is a protein on liver cells that promotes the destruction of LDLR. Therefore, a decrease in LDLR levels by PCSK9 results in higher blood levels of LDL cholesterol. Alirocumab and evolocumab are antibodies, which means that they are proteins that bind to another protein and inactivate them. Alirocumab and evolocumab bind to the PCSK9 protein and prevent it from destroying LDLR. By inhibiting PCSK9, alirocumab and evolocumab increase the number of LDLRs available to remove LDL cholesterol and consequently reduce LDL cholesterol levels in blood. Who should not use these PCSK9 inhibitors? You are allergic to PCSK9 inhibitors or their ingredients. Use: PCSK9 inhibitors are used for treatment of adults with heterozygous familial hypercholesterolemia (HeFH), homozygous familial hypercholesterolemia (HoFH), or clinical atherosclerotic cardiovascular disease (CVD) who are taking other cholesterol lowering medications but require additional lowering of cholesterol. PCSK9 inhibitors are injected under the skin every two weeks or once a month. Drug or food interactions: There are no drug interactions listed for PCSK9 inhibitors. Side Effects: PCSK9 inhibitors are well tolerated and serious side effects are rare. PCSK9 inhibitors should not be used in people with a history of serious hypersensitivity reactions to the product. Hypersensitivity reactions include itching, rash, hives, and serious reactions that have required hospitalization in some patients. PCSK9 inhibitors should be discontinued if signs or symptoms of serious allergic reactions occur. Liver problems have also occurred from use of PCSK9 inhibitors. What are some examples of bile acid sequestrants available in the U.S.? How do bile acid sequestrants work? These drugs bind with cholesterol-containing bile acids in the intestines and are then eliminated in the stool. The usual effect of bile acid sequestrants is to lower LDL cholesterol by about 10%-20%. Small doses of sequestrants can produce useful reductions in LDL cholesterol. Bile acid sequestrants are sometimes prescribed in combination with a statin to enhance cholesterol reduction. When these drugs are combined, their effects are added together to lower LDL cholesterol by more than 40%. These drugs are not effective for lowering triglycerides. Who should not use these bile acid sequestrants? Individuals who are allergic to bile acid sequestrants or who have a medical history of bile obstruction should not use these agents. Patients with phenylketonuria should not take aspartame-containing bile acid sequestrants such as Questran Light. Use: Bile acid sequestrant powders must be mixed with water or fruit juice and are typically taken once or twice (rarely, three times) daily with meals. Tablets must be taken with large amounts of fluids to avoid stomach and intestinal problems. They also inhibit the absorption of fat-soluble vitamins (including vitamin A and E); thus, patients taking these agents for a long time may need vitamin supplementation. Take bile acid sequestrants two hours before or after antacids, since antacids may decrease their effectiveness. Talk to your doctor or pharmacist for more information about the best time to take your medications. Side effects: Bile acid sequestrants are not absorbed from the gastrointestinal tract, and 30 years of experience with these drugs indicates that long-term use is safe. These agents may cause constipation, bloating, nausea, or gas. Ezetimibe (Zetia) is a commonly prescribed cholesterol absorption inhibitor. Ezetimibe was approved by the US Food and Drug Administration (FDA) in late 2002. Ezetimibe by itself reduces LDL cholesterol by 18% to 20% by selectively decreasing cholesterol absorption. It mildly reduces triglycerides. Ezetimibe is most useful in people who cannot take statins or as an additional drug for people who take statins but notice side effects when the statin dose is increased. Adding ezetimibe to a statin increases the cholesterol-lowering effect by a 2- to 3-fold factor. Individuals who are allergic to ezetimibe (Zetia) should not take it. Use: Ezetimibe is taken once daily, with or without food. It is often combined with statins to increase effectiveness. Drug or food interactions: Bile acid sequestrants bind to ezetimibe and reduce its absorption from the intestine by about 50%. Take ezetimibe at least 2 hours before or 4 hours after bile acid sequestrants. Fenofibrate (Tricor), gemfibrozil (Lopid), and cyclosporine increase the blood levels of ezetimibe. Side effects: Diarrhea, abdominal pain, back pain, joint pain, and sinusitis are the most commonly reported side effects. Hypersensitivity reactions, including angioedema (swelling of the skin and underlying tissues of the head and neck that can be life-threatening) and skin rash rarely occur. Nausea, pancreatitis, muscle damage (myopathy or rhabdomyolysis) and hepatitis have also been reported. What are examples of nicotinic acid agents available in the U.S.? How do nicotinic acid agents work? Nicotinic acid (also called niacin), a water-soluble B vitamin, improves blood levels of all lipoproteins when given in doses well above the vitamin requirement. Nicotinic acid lowers total cholesterol, LDL cholesterol, and triglyceride levels, while raising HDL cholesterol levels. Nicotinic acid reduces LDL cholesterol levels by 10% to 20%, reduces triglycerides by 20% to 50%, and raises HDL cholesterol by 15% to 35%. Nicotinamide is a niacin by-product after it is broken down by the body. Nicotinamide does not lower cholesterol levels and should not be used in place of nicotinic acid. Individuals who are allergic to nicotinic acid, and those who have liver disease, active peptic ulcer, or arterial bleeding, should not use nicotinic acid agents. Use: When niacin is started, the dose should be gradually increased to minimize side effects until the effective cholesterol-lowering dose is reached. There are two types of nicotinic acid preparations: immediate release and extended release. The immediate-release form of niacin is inexpensive and widely available without a prescription, but because of the potential side effects, it must not be used for cholesterol lowering without monitoring by a doctor. Extended-release niacin is often better tolerated than crystalline niacin. However, its potential to cause liver damage is probably greater. Therefore, the dose of extended-release niacin is usually limited to 2 grams per day. Drug or food interactions: The effects of high blood pressure medicines may also be increased while taking niacin. If a patient is taking high blood pressure medication, it is important to set up a blood pressure monitoring system while he/she is getting used to the new niacin regimen. Side effects: A common and troublesome side effect of nicotinic acid is flushing or hot flashes, which are the result of blood vessels dilating. Most people develop a tolerance to flushing, which can sometimes be decreased by taking the drug during or after meals or by the use of aspirin or other similar medications prescribed by your doctor 30 minutes prior to taking niacin. The extended-release form may cause less flushing than the other forms. A variety of gastrointestinal symptoms, including nausea, indigestion, gas, vomiting, diarrhea, and the activation of peptic ulcers, has been seen with the use of nicotinic acid. Three other major adverse effects include liver problems, gout, and high blood sugar (hyperglycemia). Risk of the latter three complications increases as the dose of nicotinic acid is increased. Because of the effect on a patient's blood sugar level, the doctor may not prescribe this medicine for a patient with diabetes. What are examples of fibrates available in the U.S.? Fibrates are primarily effective in lowering triglycerides and, to a lesser extent, in increasing HDL cholesterol levels. Who should not use fibrates? Individuals who are allergic to fibrates, or who have liver disease (including biliary cirrhosis or gallbladder disease) or severe kidney disease, should not take these agents. Use: Fibrates are typically ingested with the morning and/or evening meals. Drug or food interactions: When combined with statins, an increased risk of myopathy or rhabdomyolysis may occur. Fibrates increase the effect of warfarin (Coumadin) and oral diabetic drugs [such as glyburide (Micronase, Diabeta, Glynase Prestab) or repaglinide (Prandin)]; therefore, closer monitoring of your bleeding time and blood sugar will be required. Patients taking cyclosporine may have decreased levels (your doctor will monitor you and determine if a dose adjustment is needed). Side effects: Common side effects of fibrates include upset stomach, stomach pain, diarrhea, headache, tiredness, nausea, and vomiting. Muscle aches and pain also occur. Rarely, these muscle-related symptoms are associated with damage to muscles that releases chemicals into the blood that that can damage the kidney. Muscle damage is of greatest concern when gemfibrozil is combined with statins. The formation of gallstones and gallbladder surgery have been associated with the use of fibrates. Please describe your experience with cholesterol lowering medications. Please share your experience with statins side effects.